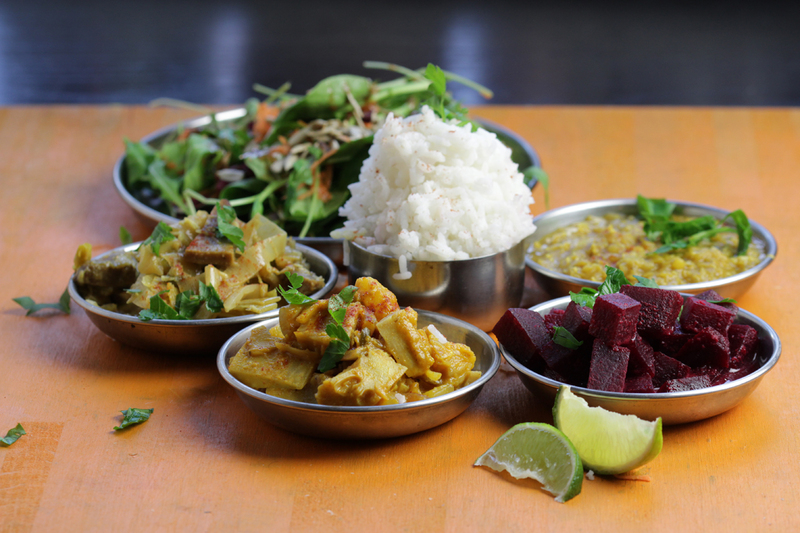 I had Jackfruit Curry in at least 10 different places in the 10 weeks I spent in Sri Lanka. Each restaurant and every family make it a bit different. I’ve also made lots of different variations on this one– sometimes sweeter, sometimes spicier, sometimes creamier, sometimes with other fun stuff like greens… or even pineapple! If using canned jackfruit, rinse and drain well. Chop into cubes or strips. Heat oil in a medium pot on medium heat. Add chopped onion, garlic, chili (if using), curry powder, ground cumin, coriander, black pepper, fenugreek seeds, mustard seeds, chili powder (or paprika), turmeric, cinnamon, curry leaves, and pandan (or bay) leaves. Fry until onion begins to soften, stirring constantly, 3–5 min. Add chopped jackfruit, lime (or lemon) juice, agave syrup (or sugar) and salt. Mix well. Fry, stirring regularly, another 3–5 min. Add coconut milk. Stir several times. Bring to low boil. Reduce heat to low. Simmer partially covered, stirring regularly, until jackfruit pieces soften and fall apart,12–15 min. 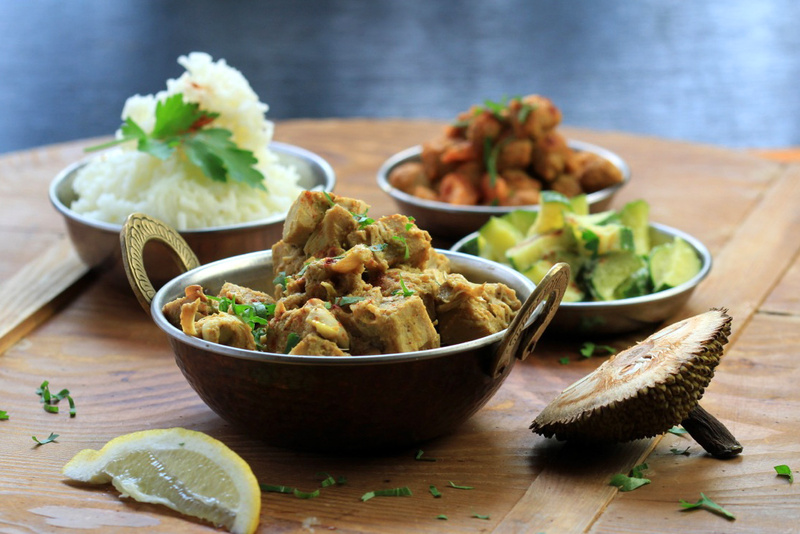 While cooking, gradually stir in water (or more coconut milk) as desired, for thinner curry. Remove cinnamon bark and bay leaves before serving. Garnish with fresh, chopped coriander. Serve with rice. Sweet & Red: Add 1 cup (80 g) chopped pineapple and 1 chopped tomato along with jackfruit. Vedic: Omit onions and garlic, and add pinch asafoetida (hing) powder. Add jackfruit along with all spices. This entry was posted in South Indian, Sri Lankan and tagged coconut milk, curry, jackfruit, south indian, sri lankan. Bookmark the permalink. I have a can of jackfruit sitting in my pantry, and I think I finally know what I’m going to make with it! The curry sounds wonderful. Making it right now, can’t wait to taste it!